When it came to the recent federal tax reform, the impact on housing was plain to see. But that type of certainty is a rarity these days for the multifamily housing industry — at least when it comes to the federal government. 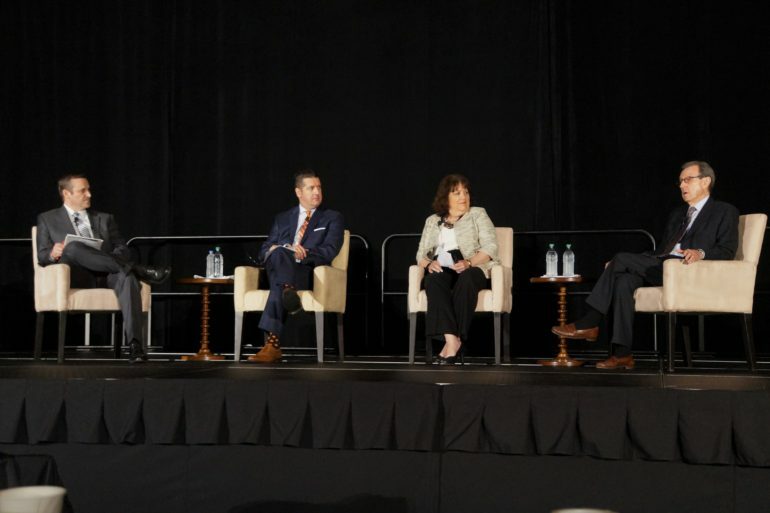 That was one key message from experts who gathered recently during the New Jersey Apartment Association’s annual conference and expo, which drew a registered crowd of more than 1,600 to the Atlantic City Convention Center. Hughes was among the panelists who tackled everything from affordable housing to managing apartments in states that have legalized marijuana. But navigating those issues has been difficult in a time of political turmoil and unpredictability, industry advocates said, especially when it comes to the Donald Trump administration. Cindy Chetti, senior vice president for government affairs with the National Multi Housing Council, said the industry is focused on “getting to know the people that are in positions with this administration and also understanding what their priorities are.” That is typical during a change in administration, she said, but the current climate in Washington, D.C., has caused the federal government to take even longer to fill thousands of agency positions. That has complicated the apartment industry’s effort to lobby on issues such as overtime rules, emotional support animals and flood insurance requirements, Chetti said. To be sure, the new law benefited the multifamily sector by watering down the tax benefits of home ownership, while also cutting taxes for so-called pass through businesses, which are commonly associated with apartment developers and landlords. That will be among several issues that affect affordable housing going forward, which Chetti said “is one of the biggest issues that this industry is going to face.” The apartment sector is seeing the issue “manifest itself in any number of ways,” she said, including policy debates about rent control, inclusionary zoning and mandatory affordable housing requirements. But she said the underlying concern is that those policies do nothing to address the lack of supply.